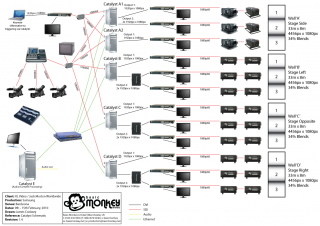 With a wide and extended experience in video technology and design, Basic Monkey can provide both creative and functional systems to meet your needs. We can provide any combination of projection, LED screen or plasma displays all fed by a variety of sources, including our own Catalyst media servers. These systems can be integrated with other production disciplines, whether these are supplied by us or not. Our video products can be scaled to your requirements; we can take technology used in the touring music and exhibition industries and bring it to the smallest of venues to impress clients or party guests. 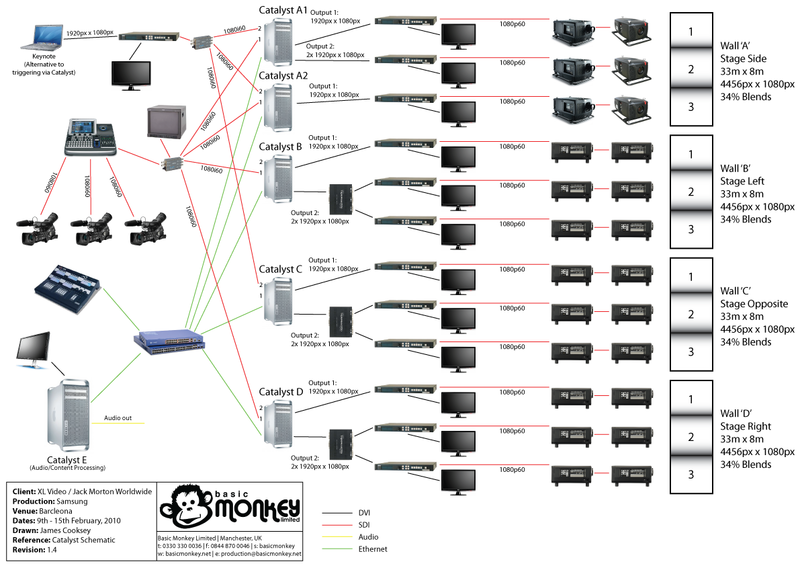 Our Catalyst media server supports multiple outputs including LED lighting control and multi-projector edge blending. 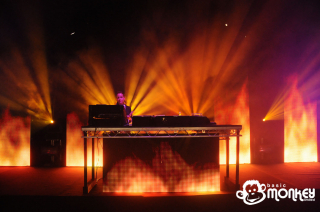 Lighting integration is possible using a shared control console or via timecode to synchronise your show. The system also supports surround sound for a truly immersive experience. Please get in touch for more information or a demonstration. Please see our video related posts in the blog.